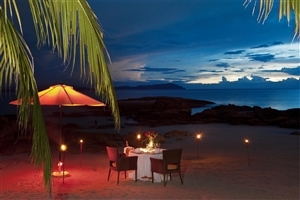 Indulge in luxury with a stay at the Sheraton Langkawi Beach Resort, one of Langkawi’s most prestigious holiday resorts. 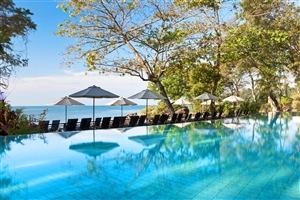 Surrounded by an area of tropical beauty, Sheraton Langkawi Beach Resort overlooks the sparkling Andaman Sea, a view guests will be able to admire from many of the ocean-facing guestrooms. 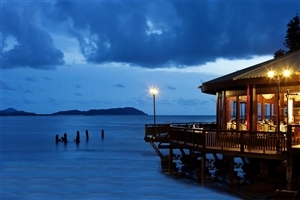 With its traditional Malaysian themes, Sheraton Langkawi Beach Resort complements its surroundings with generous facilities, including four restaurants, the Chavana Spa by Mandara and a Kids’ Club for younger guests. 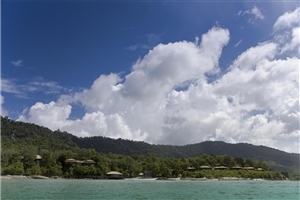 Situated on the pristine shores of Pulau Langkawi, Sheraton Langkawi Beach Resort is a magnificent hotel surrounded by an area of epic natural beauty. 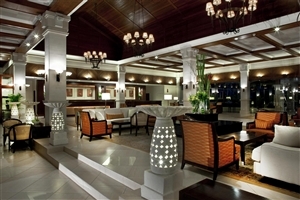 Comprising 238 guestrooms styled with traditional Malaysian themes, Sheraton Langkawi Beach Resort is a luxurious and relaxing option for the discerning traveller. 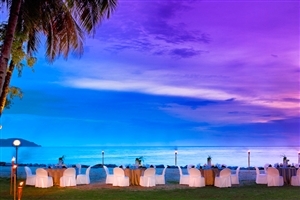 Boasting exceptional facilities, including six superb restaurants and bars, guests will be treated to impressive quality and style when staying at Sheraton Langkawi Beach Resort. 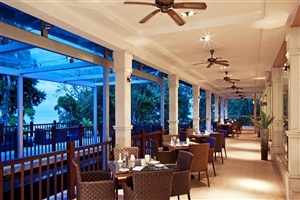 Sheraton Langkawi Beach Resort is ten minutes from Langkawi International Airport and is close to many of the local attractions and facilities in Langkawi. 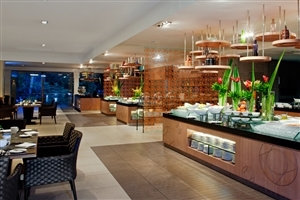 The Superior Room at Sheraton Langkawi offers stylish décor and contemporary amenities in a location overlooking the resort. 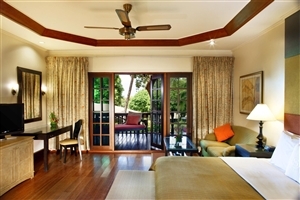 The Garden Room at Sheraton Langkawi is a smart and contemporarily designed guestroom with pleasant views across the pretty tropical gardens. 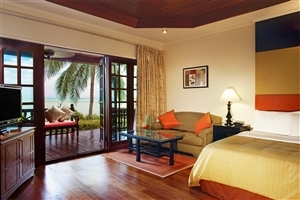 The Partial Sea View Room at Sheraton Langkawi is a stylish guestrooms choice with views towards the Andaman Sea. 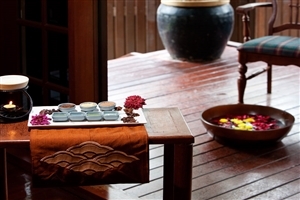 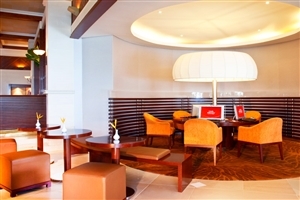 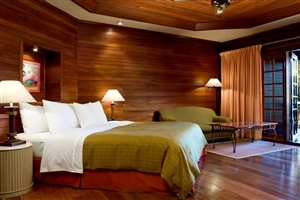 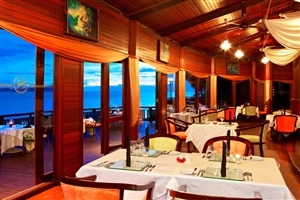 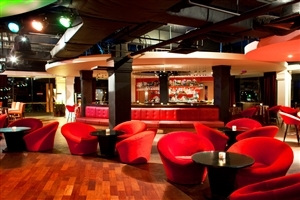 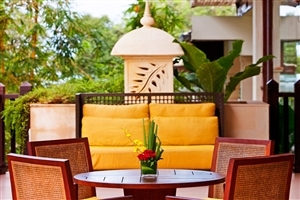 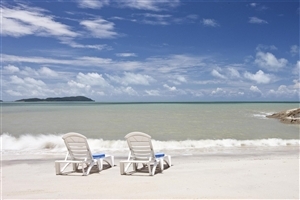 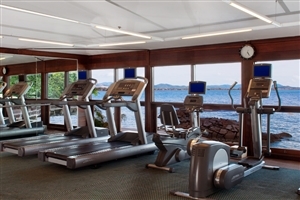 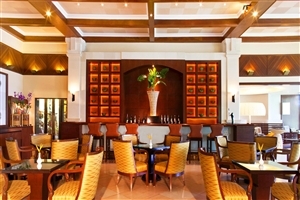 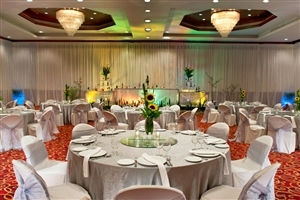 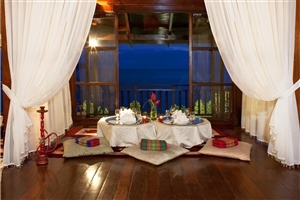 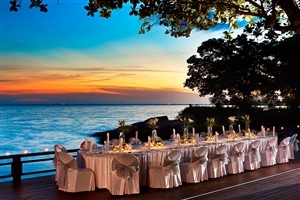 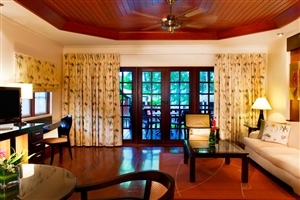 The Seafront Room at Sheraton Langkawi enjoy pleasant views across the Andaman Sea and a private stretch of shaded sand. 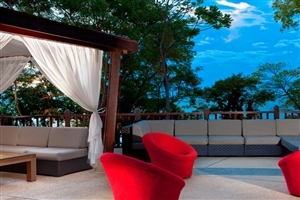 The Sea Facing Jacuzzi Room at Sheraton Langkawi enjoys striking views across the Andaman Sea, plus a Jacuzzi bathtub in the bathroom. 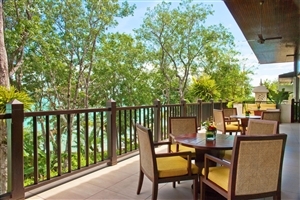 The Executive Suite at Sheraton Langkawi offers 104sqm of accommodation space and features a private balcony with two sun lounges. 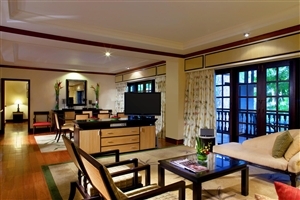 The Deluxe Suite at Sheraton Langkawi offers 216sqm of accommodation space, comprising of two bedrooms, plus a large living room with a dining area. 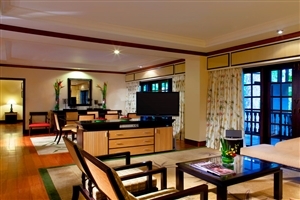 The Premier Suite at Sheraton Langkawi offers 220sqm of accommodation space across two bedrooms, a large living room with a dining area, and a kitchenette.